Bedside storage for the youth room in your home is provided by this quality two drawer night stand. 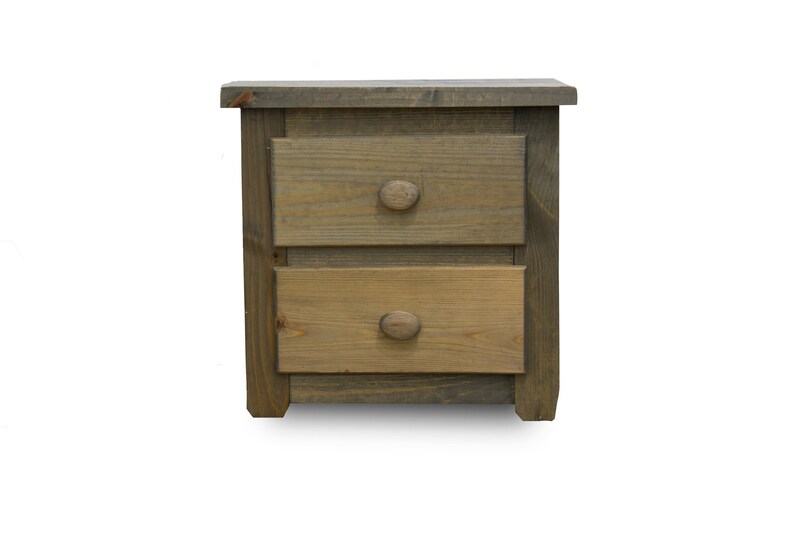 Featuring solid Pine construction, a warm walnut finish, and wooden knob pull hardware, this night stand is durable and well built, to grow with your child for years to come. The Walnut Nightstand by Pine Crafter at Great American Home Store in the Memphis, TN, Southaven, MS area. Product availability may vary. Contact us for the most current availability on this product.